In a 4-1 vote Monday, the Fort Wayne Redevelopment Commission approved an economic development agreement with RTM Ventures for the planned Electric Works redevelopment project south of downtown. 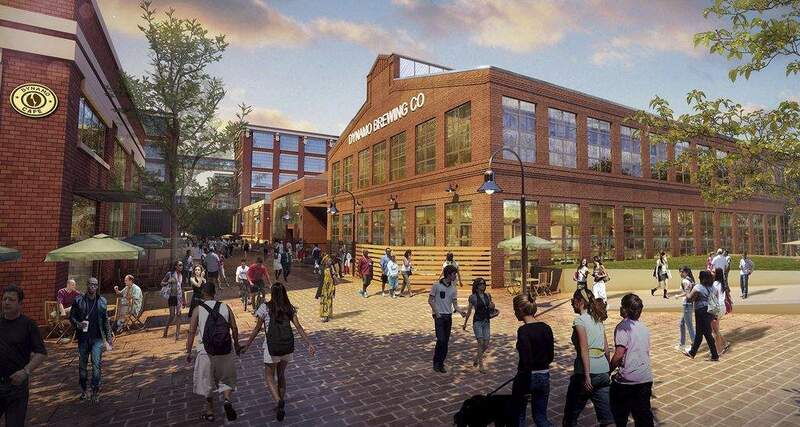 Monday's approval marks the first of several steps that must be taken before $62 million in city funds will be released to help pay for the first phase of redevelopment at the former General Electric plant. A deal between the city and RTM Ventures, which is developing the site, was announced Aug. 30. Once complete, the $220 million west campus could include 224,000 square feet of office space, 113,000 square feet of research/education space, 83,000 square feet of retail and restaurant space, 83,000 square feet of innovation space, 82,000 square feet of apartments and 31,000 square feet of recreational space. The Redevelopment Commission committed no funds to the project. However, Monday's vote was necessary so RTM Ventures could seek the necessary commitments from the Allen County-Fort Wayne Capital Improvement Board for $45 million; the Fort Wayne Legacy Fund for $10 million; and $3.5 million in city and county income tax funds. Representatives from RTM Ventures expect to secure those commitments within 60 days, but have up to 90 days to do so. Jason Arp, the Fort Wayne City Council appointee on the commission, was the sole vote against the agreement. Commissioners Mark Becker, Christopher Guerin, Winfield Moses and Thom Obergfell voted for it. Non-voting commission member Steve Corona was absent.